Look how cute (and big compared to my donabe rice cooker, "Kamado-san") this new donabe is! 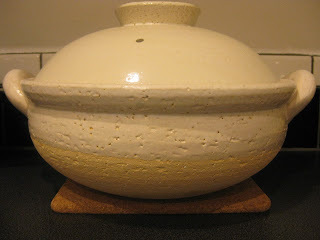 This is a Donabe Steamer made by Nagatani-en from Iga, Japan. I'm going to import them very soon. 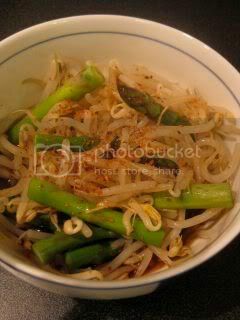 So, this past week, I've been trying different recipes with this donabe almost evey night. 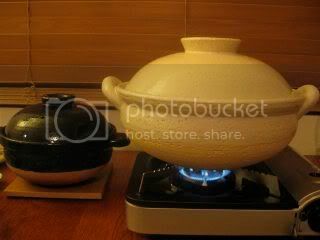 I LOVE this new DONABE STEAMER so much!!! 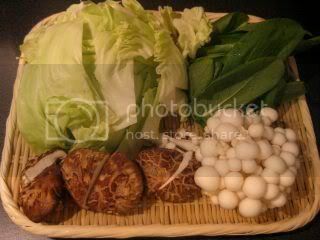 There is an inner tray with the wholes, so you can put the ingredients on this tray, fill the donabe with water, and you can steam-cook the ingredients by heating it. 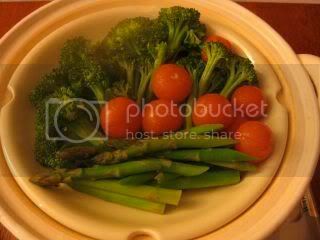 The key is, you can cook quick simple dishes and turn them into the very nutritious and delicious dishes. 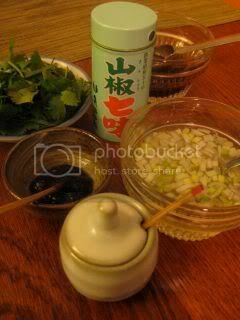 It's also fun to surround the donabe steamer with your company at the table and cook and eat together. 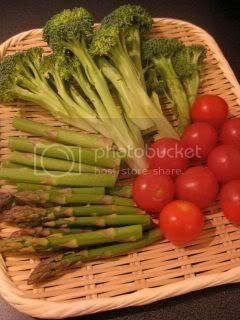 Here are some of the photos from my test cooking. 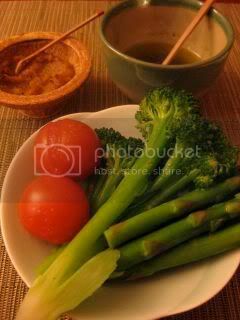 Simple vegetables with broiled miso paste and yuzu kosho/ olive oil condiments. 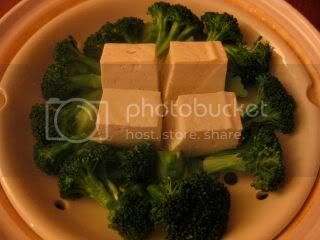 Steamed namulu (Korean-style vegetable appetizer). 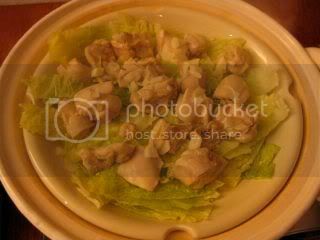 Chicken and cabbage. 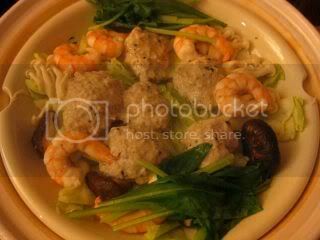 I also made Chicken Meat Balls, Shrimp, and Vegetables. 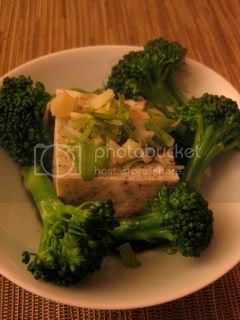 Tofu and Broccoli combo was great with the black sesame sauce. 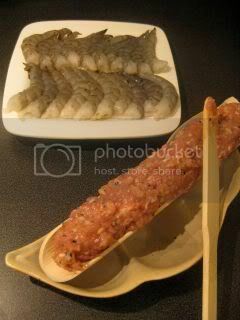 Many different condiments..."Tsuke Dare" (dipping sauce) and "Yakumi" (condiments). 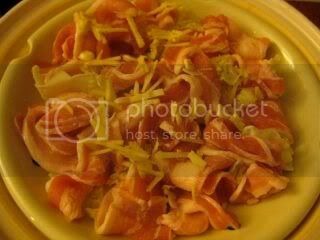 The good juice from the meat dripps down from the inner tray with the wholes. After cooking all the vegetables and meat, the water in the donabe has so much flavor. 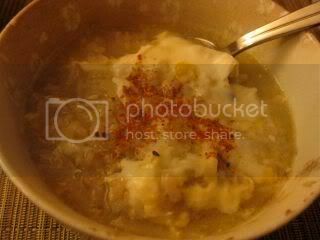 So, at the end, as a "Shime" (ending dish), we made ojiya (Japanese-style soup risotto). 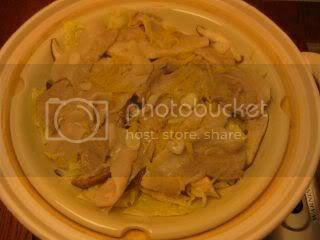 Donabe Steamer, "Mushi Donabe", is scheduled to be on sale on http://www.toirokitchen.com/ in early May!